A PLC that specialises in property trading and investment, which had recently expressed concerns about Brexit, has invested in a golf club. It’s believed to be the first time the company has purchased a golf venue. Safeland PLC has acquired North Downs Golf Club in Surrey for more than £1 million. 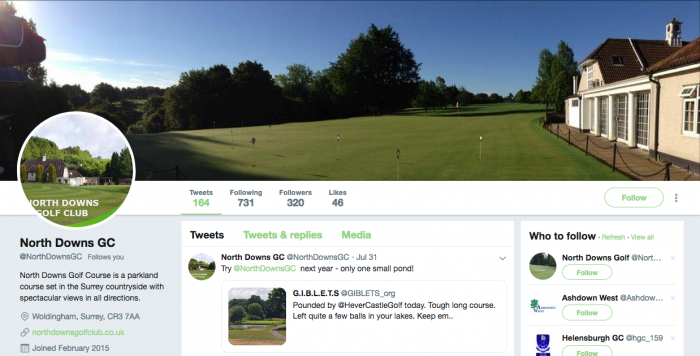 “North Downs is a well established 18 hole golf course with a 664m2 clubhouse together with a golf shop and reception,” it says in a statement. “The total consideration payable for this freehold property is £1.065 million in cash which will be funded from the company’s existing cash resources. Earlier this year the company suggested that Brexit had created a challenging time for it to trade. Managing director Larry Lipman said the market “appears to us to be constrained by an economic outlook, which in turn is affected by political conditions at home, in the EU and worldwide. “I believe that this has created a cautious environment, verging on stagnation which may continue for some time. Following the purchase of the golf club, Lipman said: “This is a very well located leisure asset with significant potential to upgrade and improve upon the current infrastructure. North Downs Golf Club was placed up for sale with a guide price of £1.5 million earlier this year. The then private members’ club, which was established in the 19thcentury, has a turnover of £650,000 excluding catering, and stated that it has the ‘potential for commercialisation’.